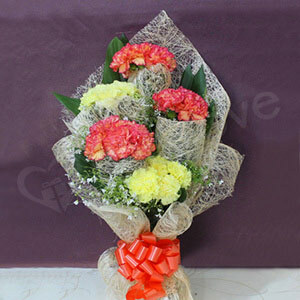 Carnations have 6 inches long slender leaves. 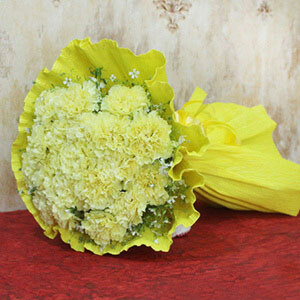 Colombia is said to be the greatest producer of carnation in the world. 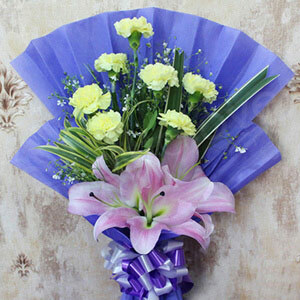 Express your heart or convey warm wishes to someone dear and loving on special or celebratory moments of the year with this lovely basket flower arrangement that is bright and impressive. 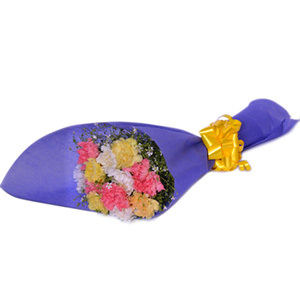 The expert florists have designed these flowers beautifully to make it a heart winning token of love to gift someone dear.